*Individuals employed by an IAA member or associate member firm in good standing both at the time of registration and on the date of the event, are eligible to receive the discounted member/associate member rate. Individuals who are employed by an SEC-registered investment advisory firm that is not an IAA member are welcome to register for the conference at the regular (non-discounted) rate. **If more than one individual from the same firm register, the first individual pays the full registration fee and each additional registrant receives a $500 discount. Those additional registrants must submit a paper registration form, available here, or by email at iaaservices@investmentadviser.org. We understand that unexpected circumstances may force a registrant to cancel. Cancellations must be received in writing, via email or post. There will be a $200 cancellation fee assessed if cancellation is received prior to September 5, 2018. There are no refunds for any cancellation received on or later than September 6, 2018. Substitutions may be made at any time, in writing, at no additional fee. 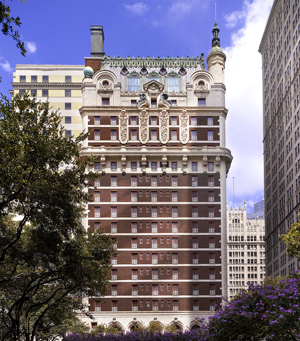 A block of rooms has been reserved at Adolphus at a special rate of $239+ taxes per night. You may make your room reservation here, or call (844) 236-8187. Please mention that you will be attending the IAA Leadership Conference. Hotel reservations must be made by Tuesday, September 4, 2018, to reserve at the group rate. Please note the room block is limited; make your reservation early. Delta Airlines is offering conference attendees 2-10% discount on airfare. Reservations and ticketing are available via www.delta.com/meeting. Select the “Book A Trip” tab. Enter NMS5G in the Meeting Event Code box. United Airlines is offering a 2-10% discount on airfare. Book your reservations online at www.united.com. Go to “Reservations/Book a Flight. Enter code ZE2W727273 in the “Promotions and Certificates” box.